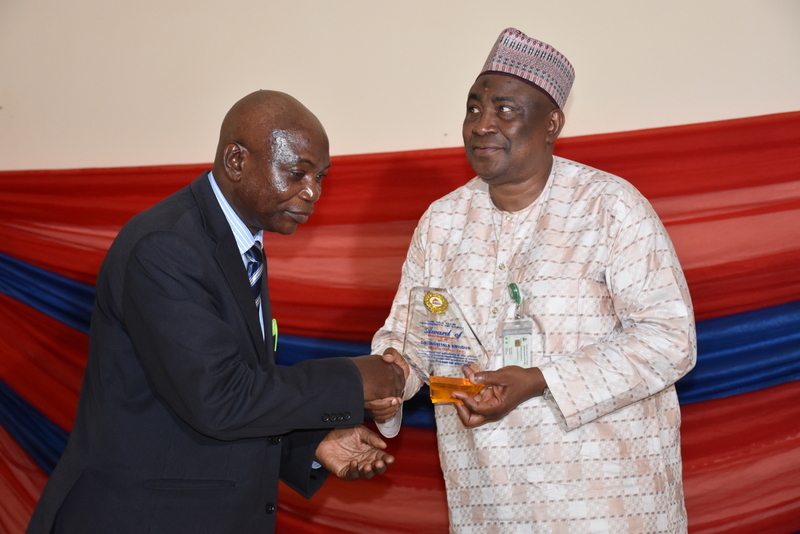 The Executive Chairman of Kwara State Internal Revenue Service (KW-IRS) Dr Muritala Awodun has again been appreciated for his support to the University of Ilorin Tax Club, and recognized for his contribution to tax administration in Kwara State and Nigeria as a whole. An award was presented to him by the University of Ilorin Tax club during her National Tax Colloquium which took place at the Communication Information Science (CIS) lecture theater, University of Ilorin on 05 July, 2018. 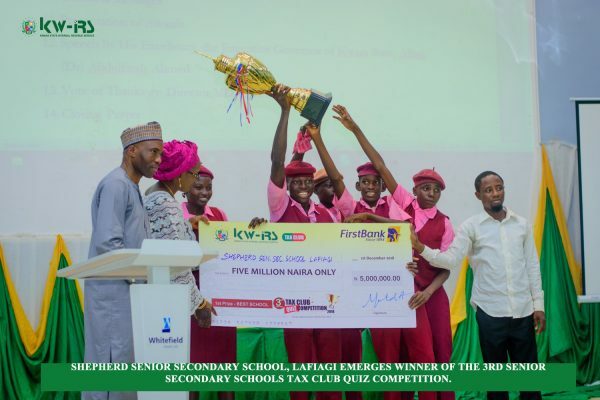 The Director of Special Duties who represented the Executive Chairman, Dr Muritala Awodun while receiving the award said there is need to reawaken tax culture in Nigeria and the best way to imbibe tax culture is to inculcate it in the minds of young ones which prompted the management of KW-IRS to commence Tax Club Quiz Competition (TCQC) among senior secondary schools in Kwara State. He appreciated the initiative of Unilorin Tax club in organizing this colloquium and encouraged the participants to take the knowledge to have acquired about tax to the nook and crannies of Nigeria. In his keynote address titled; “harnessing the tax potentials in the informal sector for revenue generation in developing countries, KW-IRS as a case study” Mr Segun Olaniyi narrated the efforts and successes of KW-IRS in capturing informal sector into the tax net. He said although gathering data of the informal sector is a challenge but the Service had created a department charged with the responsibility of data gathering which can be used to project revenue potentials and development of Kwara State. Other keynote address was delivered by Mr Adeyemi Adegun, a tax consultant on increasing globalization of tax: Challenges and prospects for developing countries highlighted some of the solutions of Nigeria tax system as; making periodic amendments to tax law, creation of effective and valid data, effective e-filing, increased sensitization, and improved infrastructure to public and prompt resolution of tax conflicts. Highlight of the event include; drama performance, Panel session on harnessing technology to improve tax system, debate between University of Ilorin and Obafemi Awolowo Univeristy, Ile Ife, presentation prizes to the Unilorin tax Club as the winner of the debate and presentation of certificates of attendance. Guests at the event were; Director of Legal & Enforcement Barr Lateef Okandeji, Director of Other Revenues, Alhaja Iyabo Abubakar, Head of Corporate Affairs, Mrs Habibah Aiyelabegan, Members of CITN and students of Univeristy of Ilorin.